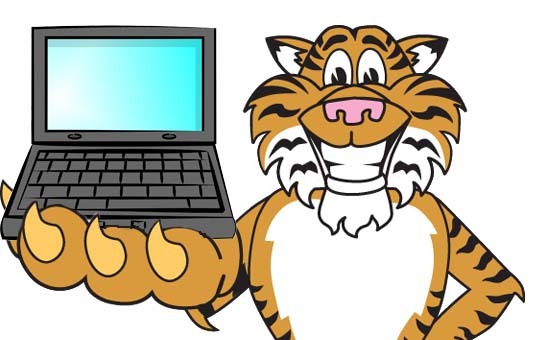 One Quick Thing: Alburquerque’s Walk Rate Plummets! This post isn’t going to require much context. It’s going to short and to the point because it doesn’t require a lot of fancy “words” to grab your attention. 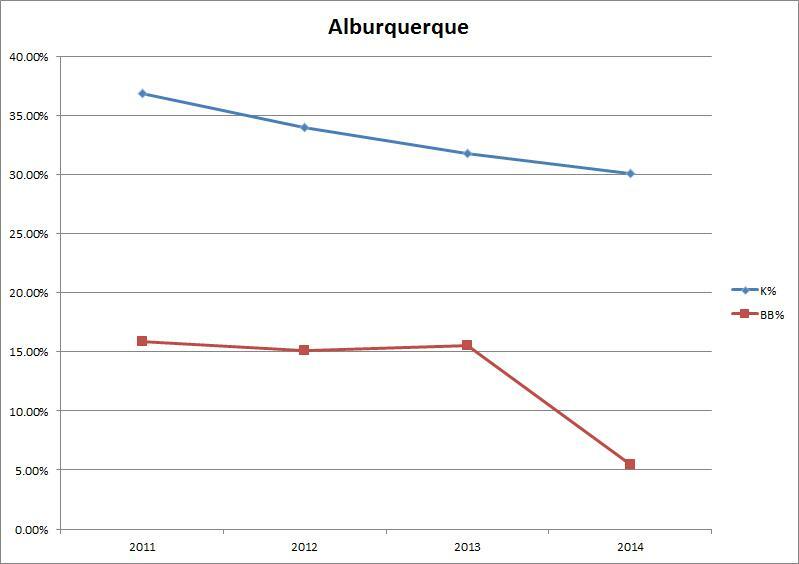 This is Al Alburquerque’s 2014 season in three graphs. First, his walk rate by year. 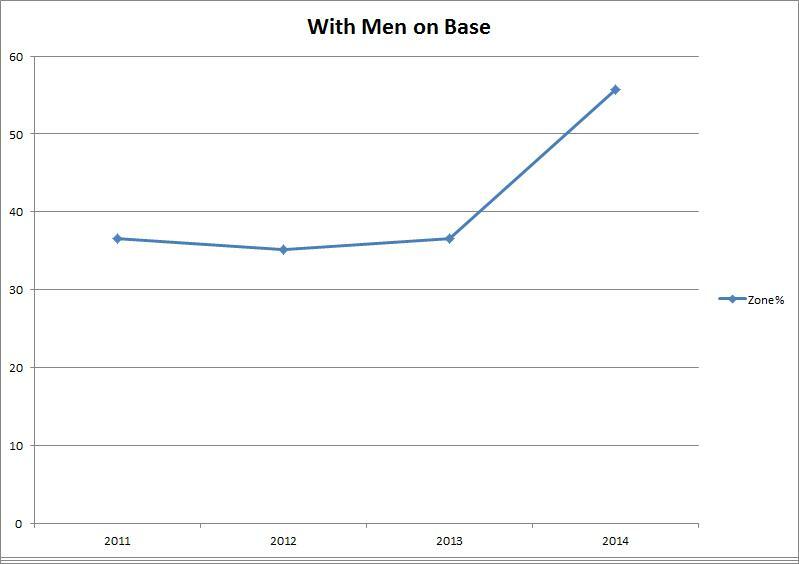 Then, his walk rate with men on base. Then his percentage of pitches in the zone with men on base, using the Baseball Savant classification. Note: Same pattern holds using other definitions of the zone. 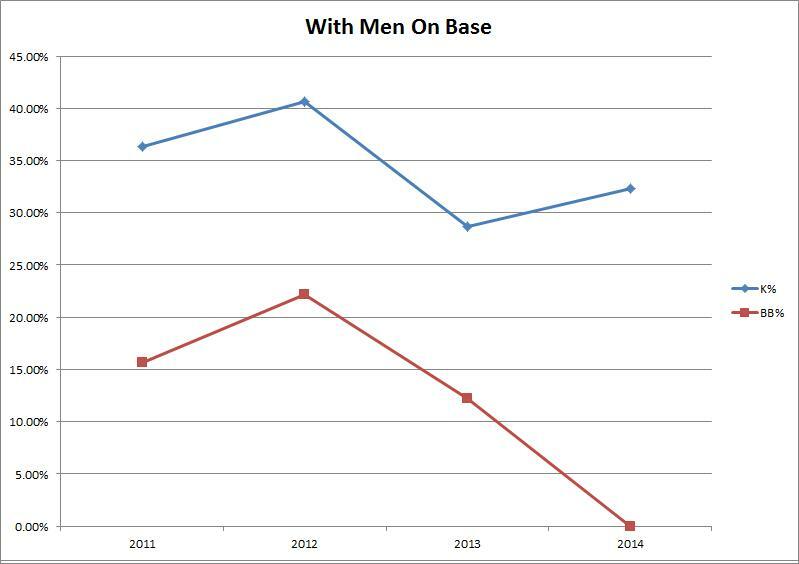 Alburquerque hasn’t walked anyone with men on base this year! He’s throwing more strikes when he gets into trouble and it’s working. You’d much rather allow a batter to make contact than issue a walk and Al-Al is doing just that when he has men on base behind. Given how good his stuff is, challenging hitters is probably a good idea. You don’t have to be that cute when your slider moves like his does. With relievers it’s always small sample size, but this is at the pitch level, so it’s not useless. If he isn’t done posting walk rates in the 15% range, he’s going to be nails.